Resources - Get Well Fed! 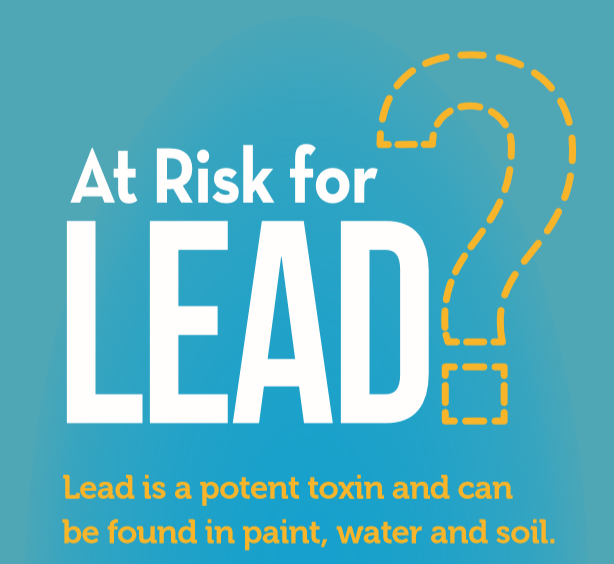 We've collected some resources that you can use to educate others on the risks of lead, get testing performed, nutrition information, and special program information. The USDA and City of Milwaukee have several resources available for help with educating the public about lead exposure and links to healthy diets and nutrition. Learn more about how Federal Nutrition Programs administered by the USDA can help. Learn more about lead information and resources in the City of Milwaukee. Check whether your Milwaukee home has a lead lateral service line. Have your water tested to check whether your home has lead pipes by calling 1-800-424-LEAD or visiting the milwaukee water quality testing website. 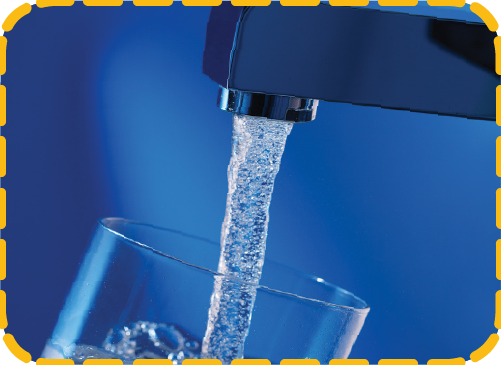 Use a water filter – find examples and resources. Have your family tested for lead exposure – here are some ways how. Eat regular meals and include healthy snacks for children – incorporate key nutrients using this guide. Schools across Milwaukee are taking steps to test their water for sources of lead. Both Milwaukee Public Schools and a number of charter schools have tested and published the results. Results from MPS can be found here. Parents and guardians can utilize the Women, Infant and Children Program for nutrition education, lead testing and food-buying benefits. The WIC program supplies healthy food to low-income pregnant or breastfeeding mothers, and for infants and children up to 5 years old who are at nutritional risk. Children under age 6 are more susceptible to lead absorption. Foods provided through WIC include: infant formula, fruit and vegetables rich in iron, calcium and vitamin C, whole-grain bread and cereals and iron-enriched cereals, eggs, milk and cheese. Summer is the peak time for childhood hunger. Through the Summer Meals program, kids 18 and under can receive meals this summer at supervised locations like schools, parks and community centers throughout Milwaukee. Find a list of sites. Dial 211 or visit impactinc.org to find the site closest to you. Parents and guardians of school-aged children can participate in the School Breakfast Program and after-school snack or supper program to ensure that their children are never hungry. The SBP provides a nutritious breakfast for students in public and private schools and residential childcare institutions. Each school breakfast must contain three components: grains, a fruit or vegetable, and milk. All of these food items may help limit lead absorption. Wisconsin ranks last in the number of schools that participate in the School Breakfast Program. Increasing participation statewide is an easy way to ensure all students have access to quality nutrition. Families without enough money to adequately provide healthy meals for everyone in the household can apply for FoodShare benefits and visit a local food pantry. Many food pantries in Milwaukee offer foods high in iron, calcium and vitamin C to supplement a healthy diet. Find a food pantry nearest you. Continue to stretch your grocery dollars by taking advantage of FoodShare incentives, like the Pick ‘n Save Fresh Picks Mobile Market. This grocery store on wheels travels throughout Milwaukee County to visit neighborhoods and communities that have limited access to fresh and healthy foods. The market is an active store, not a food pantry or donation center, that sells only fresh fruits and vegetables, meat and dairy products. All items are 25% off regular grocery store prices. Learn more about the Mobile Market and check the schedule. Visit local farmers markets stock up on healthy items, like fresh produce. The farmers markets in Milwaukee County offer you produce fresh from local Wisconsin farms, including seasonal produce, plants, cut flowers, and baked goods. Milwaukee County farmers market schedule. Healthy recipe ideas from Hunger Task Force. One great way to incorporate plenty of calcium, iron and vitamin C into your (and your family’s!) diets is to prepare meals at home made with wholesome, nutritious ingredients. Click the links below for easy, healthy recipes great for any occasion! Hunger Task Force administers the Commodity Supplemental Food Program–known locally as Stockbox–which provides a healthy and nutritious box of supplementary food to low-income seniors. Each month Hunger Task Force delivers nearly 9,000 Stockboxes to low-income seniors at senior housing sites in Southeastern Wisconsin. To qualify for a Stockbox, seniors must be 60 years or older and a resident of Wisconsin and meet the monthly income requirements. Learn more about the Stockbox program.